CEMA MEMBERS in THE NEWs! MAY 2017 IS OUT! 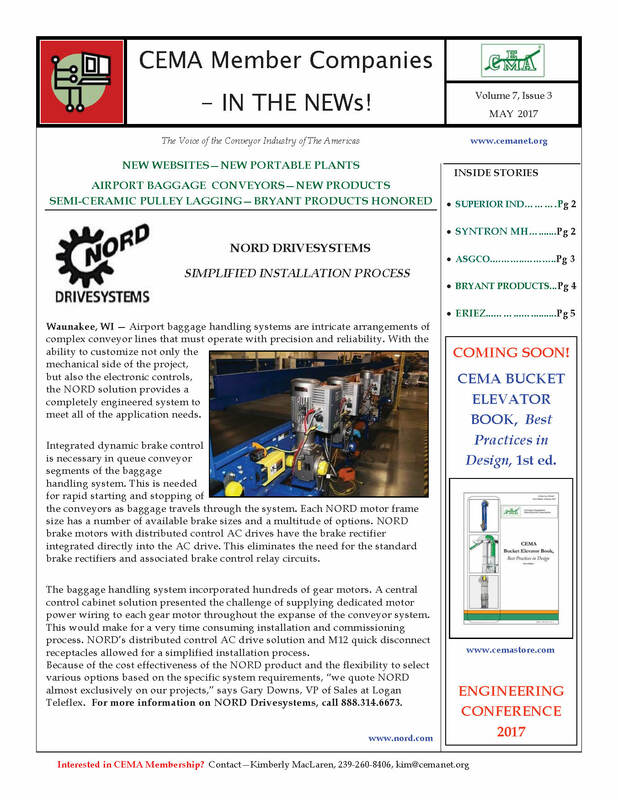 MAY 2017 is filled with New Products from Superior Industries, ASGCO, and Eriez, along with new locations for companies, Simplified Installation process from NORD Drivesystems, NEW Website launch from Syntron Material Handling, and Bryant Products – Honored by the Department of Defense! 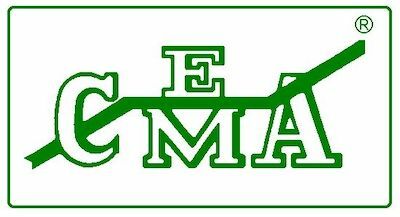 If you are a CEMA Member and you want your news in the CEMA Newsletter, send it over to: kim@cemanet.org by the 15th of each month! NEW MEMBERS – RADICON DRIVE SYSTEMS, INC. →← CEMA STATISTICS MARCH 2017 ARE AVAILABLE!